I guess I had been living under a rock, not having heard a single thing about Kingsman: The Secret Service until I saw it pop up as a new release on Netflix. I guess I was missing out. The simple story is that Eggsy is a teen that seems to be headed down the right path, until his potential is recognized by one of the Kingsman, a type of James Bond-esque spies who are highly trained and are able to do some pretty cool stuff. Eggsy is recruited for training, and needs to stop the evil plan for a mass human killing spree to eliminate the problems of global warming, by the lisping Samuel L. Jackson, who serves as the primary villain of the film. Colin Firth serves as the wily, elder Kingsman, who takes Eggsy under his wing. And he is pretty awesome, reminiscent of how cool Liam Neeson was in the first Taken film. An older actor-turned-action star, Firth gets to be the center of some pretty incredible, and hyper-violent, fight scenes that absolutely took me by surprise. I did not expect to see him walk in to a church and brutally eliminate an entire congregation. But we get to see it, and it is pretty awesome, and endlessly fun to watch. That goes for the entire film. It is just entertaining. The training for the Kingsman recruits is pretty cool, set up like a competition where only one person will have what it takes to become a new member of the squad. The embark on fun adventures in attempts to prove themselves, and we get to see the transformation of Eggsy from street-wise youth, to trained killer. There is also one of the more fun villains in a while, Gazelle, who has prosthetic, blade-runner style legs that are equipped with deadly knives at the end. She provides great fight scenes, and impressive ability with her legs to dismember, or even decapitate, her opposition. Gazelle is a great henchman, and very watchable as the film progresses. Every time she appears, or tears her skirt off to reveal the deadliness of her legs, viewers can be sure that they will be in for a good time. I guess I had completely missed the boat on this film, but am happy that I had the chance to watch it. It is based of the comic series, The Secret Service, and creates a very memorable group of characters throughout, something that cannot be said for all comic book films. This one doesn’t take ages to establish characters and give them infinite back stories, which is thankful to the viewer who craves some blood, instead of too much story. Kingsman: The Secret Service is a fast-paced action film, and it doesn’t disappoint, pretty much right from the beginning. There is more than enough here to keep viewers entertained and happy, and makes for one of the better action films that have been released in the past while. It is surely set up for a sequel, so I’m sure we haven’t seen the last of the Kingsman. Captain Phillips gets it going, right from the beginning. For this film based on true events, I was expecting a lot of buildup before the actual events of piracy on the seas just off Africa would get rolling. Boy, was I pleasantly wrong. The movie gets moving pretty quickly, and before we know it, Tom Hanks and his crew aboard a transport ship are under siege from four determined Somali pirates, and things have gone horribly wrong. Their ship is boarded, and they have had to deal with one crazy situation. I hadn’t read much about this film upon its acclaimed release, or in the months since, but I was treated to a very tense, entertaining film. The action is not that of the Michael Bay variety, but provides serious tension throughout the film. Once the Captain is kidnapped, and taken aboard the lifeboat, the film continues to get better, and stronger. As he almost always is, Tom Hanks is highly capable and watchable as the lead in the film. He exudes a certain calmness as Captain Phillips, even when he has a gun pressed against his temple. He always seems to be in control, and he comes over as an amazing character as the film progresses. Even when the Somalis know that they are done for, and are on the verge of panic while US warships float just off the side of their tiny lifeboat, he is in control. Of himself, and at times, of the pirates. There is a lot going on in Captain Phillips, and it never ceases to be entertaining and stressful. Not sure how the whole thing was going to wrap up, it was impressive to see the show of strength by the United States in the situation that they were faced with. Dispatching a Navy warship, and aircraft carrier, helicopters, and the highly trained SEAL team, there was no way that they were going to let the small orange boat ever make it to the shores of Somalia, whether the Captain was alive or dead. It always left the conclusion in doubt, as to how the whole thing was going to unfold. It is increasingly rare for films to be able to hold tension for the majority of its run time, but Captain Phillips does exactly that. Barkhad Abdi, who plays the lead pirate, is exceptional in his role. He was justly nominated for a supporting Oscar, and won a BAFTA for his portrayal as the Somali fisherman who simply wants some money so that he can survive, but is crushed by his own ego, greed, and desire to obtain some semblance of the American Dream, even by the deplorable means of kidnapping. As his situation becomes more dire, he struggles to control his group of men, and knows that he is facing the longest of odds, but with grim determination, refuses to abandon his hopes of a successful attack on a US ship. Captain Phillips is a very, very good film, and absolutely worth a watch. The running time flies by, and there are very few moments that will not leave viewers on the edge of their seats, wondering what is going to happen next. Very highly recommended. Some families have secrets that are darker than others. When straight-laced lawyer Nick has his odd, adopted brother Conrad come to town for a visit, things get a little weird with their family. Issues have arisen between them since their father passed away, and Conrad never went to the funeral. He had always been harboring thoughts that he was treated poorly by both his father and Nick throughout his life; that he had been treated like an outsider because he was the adopted one, and not really the true son or brother. This leads Conrad on an interesting path in life, as an artist and a bit of a wanderer. He sells all of his possessions, and ends up visiting Nick. From here, he convinces him that they should tour the sites of the Manson Family Murders, the ones that gripped the nation with fear, bringing evil into a simpler time in American history. Conrad, played by Linas Phillips, is a quirky individual who would prefer to camp in the backyard rather than sleep inside, and is obsessed with the Manson murders. He wears Manson shirts, gets genuinely giddy at the sites of the Tate and LaBianca houses, and wants to get as close to “Charlie” as possible. There are, of course, reasons why. 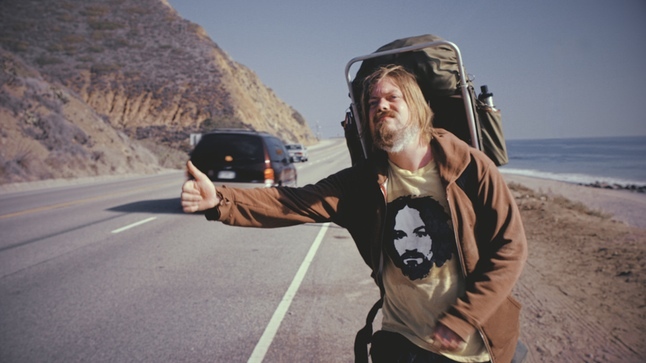 Manson Family Vacation is a dark comedy, to say the least. The subject matter is consistently heavy, and the interviews with Manson interspersed with the film manage to elicit the creepiness that only he can, still, all these years later. There are moments of lighter humor, but it is never possible to disassociate with the fact that it is trying to make light of perhaps one of the grizzliest, most infamous crime sprees in the history of the country. Not something to take lightly, even if the film tries to. Conrad is always on the verge of taking things too far, and his flirtations with the Manson family, and the current members, is truly terrifying for Nick. Yet through the unlikely events, it allows the brothers to discuss their past, and realize the wrongs that they have committed, all while Conrad is trying to connect with his own demons, and his own past. In pretty much the least normal way possible. Manson Family Vacation was not as good as I expected it to be, but it provided some good moments, and some very surprising twists. It is an interesting film to be sure, and speaks to the odd connections that people are able to have, perhaps even if they have never met. It may not be funny enough to be considered a comedy, or dark enough to be considered a pure drama, but it lies at an awkward place in between. It is a good film, and one worth checking out. The characters are pretty interesting and generally likable, and the film does a good job of exploring the ways in which people need to reconcile their own pasts in order to be able to move forward as functional adults. Purely based on the traumatic subject matter, Manson Family Vacation is worth checking out. It is a strange journey into a coming-of-age story that is definitely unlike many others out there. It is hard to see a film that is so critically acclaimed, and then have a bunch of negative things to say about it. Such is the case with Gravity for me. First off, it should be noted that I am a simple person who never saw this sci-fi film on the big screen, where it would have been a million times better than on my lackluster TV screen. 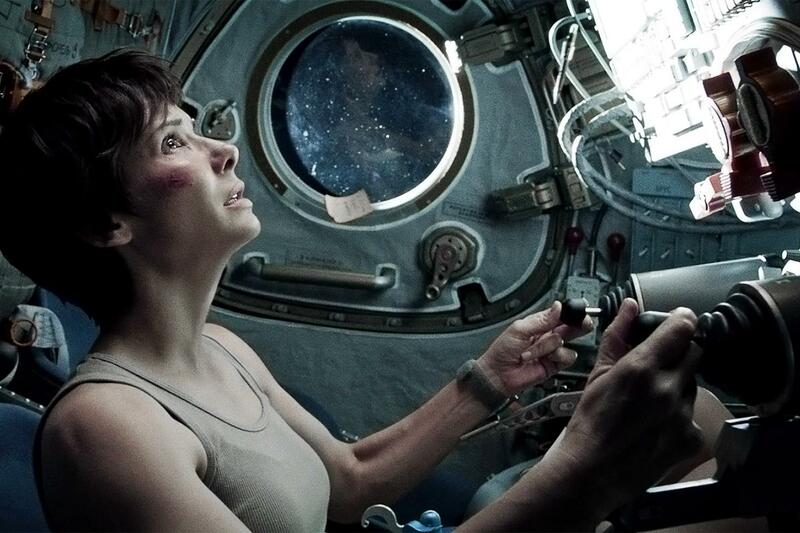 Gravity is a massive film, and deserves to be seen on the screen. So I will not speak to the effects or grandeur of the film, since I never bore witness to it. Instead, I will focus on the film itself, instead of all the fancy effects and impressiveness of seeing everything on a massive screen in front of me. 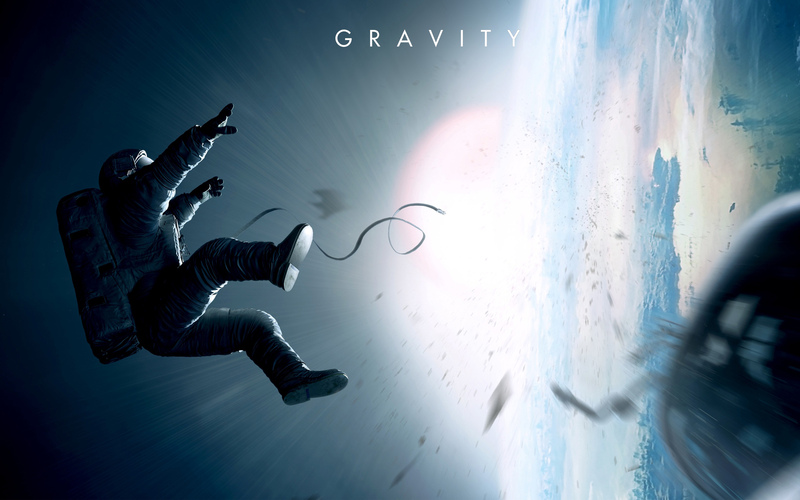 For me, Gravity was a mixture of thrills, tedium, and preposterous situations. There were moments of this movie where you could feel yourself sliding to the edge of your seat, not entirely sure what was going to happen next. In the vast emptiness of space, it is easy to feel uneasy about being out there, all alone, with barely any hope to cling to. Yet that was balanced by a couple of characters (literally, two) that couldn’t really hold interest for too long. George Clooney, one of my favorite actors, was kind of annoying in this film, and his fate never seemed in doubt, even though there was no characterization or story as to why he would be such a heroic man. All we really know about his character is that he likes to talk and tell random stories, and he is obsessed with having the longest space walk record. Aside from that, nothing. We know nothing about his character as a man. And that plays as a huge flaw in the film. The other star of the film, Sandra Bullock, received rave reviews and an Oscar nomination for her role as the scientist on board the doomed spacecraft. As with Clooney, we know next to nothing about her. The only revelation of her past is during the strange time when she and Clooney are shooting through space on the way to the International Space Station, when it is revealed that she had a daughter who died. It’s fine to create a fairly flat character, even in a lead role, but it made it more difficult to really care what happened to her in the end. When a film is based solely on two people carrying the movie, and hoping to enthrall the audience with emotions at their fates, they had better be characters that we really care about. In this sense, Gravity failed. Sure, Bullock is good at demonstrating panic, and her fear comes across as very real. It is not a poor acting performance, by any stretch. In fact, she is very good with what she is given. There is very little that I actually understand about science and space, but to me, so many of the things that transpired in the film seemed to be truly off-kilter. I’m sure there are plenty of space people who could say how realistic the film actually was, but to me, it came across as pretty far-fetched at points; especially around the ending of the film. This wasn’t a make-or-break thing for me, and I never mind suspending some disbelief, but I did feel like it took away from the film a little bit, since there were parts that I simply couldn’t believe, and get behind. 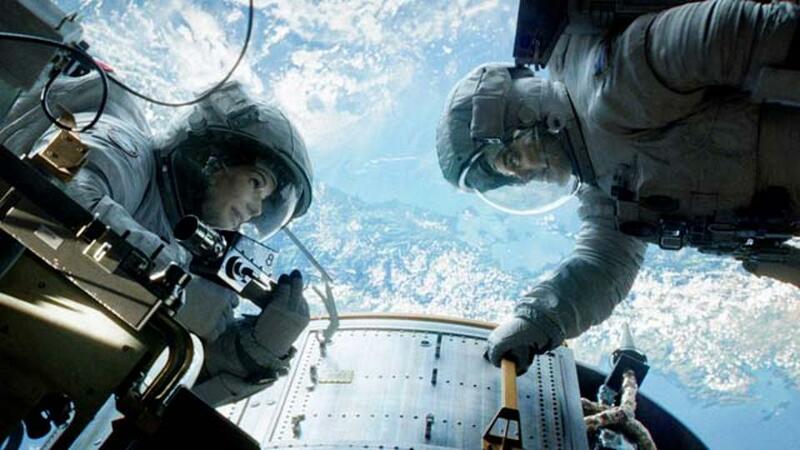 Gravity is a spectacle, and in the end, I quite enjoyed the film. But it is flawed, as a film on its own. I wish I could have seen it in the cinema, where I could have enjoyed the incredible visuals that garnered this film a good haul of technical Oscars. But when it comes down to it, looking at Gravity simply as a story, it is just ok. Recently released to Netflix Canada, the dark comedy This Is the End brings a little bit of Armageddon to the table for a group of Hollywood actors just trying to enjoy a good party at James Franco’s house. Bordering between a black comedy and a gross-out comedy, This Is the End provides us with a fun view into a bunch of actors who are playing themselves in the film. A cast that includes modern funnymen such as Seth Rogen, James Franco, Jonah Hill, Craig Robinson, Danny McBride, and Jay Baruchel, interact together after an apocalyptic event stuns the city of Los Angeles and most people are pulled to the sky with mysterious lights. The survivors do their bumbling best to survive in Franco’s house, with meager supplies, and their fair share of idiocy standing in their way of survival, and ultimately, salvation. There are a few laughs in the film, and it definitely takes on a darker tone than most might expect from a film with this ensemble cast. As the story moved forward, it came with it a surprisingly religious twist that I was not expecting. This is not the funniest film of the year, by any stretch, but there are enough light moments to make it entertaining enough to watch. The high Netflix star rating surprised me, as did the Rotten Tomatoes score of 8.3, and even a strong review from Roger Ebert. Taking the film beyond the comedy aspect, however, it is a pretty decent movie, better than I would have expected. Going into it, I expected a film serving primarily as actors stroking their own egos by playing themselves, and forcing us to care about what would happen to them, above anybody else, should the end of days truly approach it. Instead, we like the characters as they are. There are feuds and issues between them, and they are more than willing to parody themselves in order to accentuate the gags of the film. As an audience member, it is fun to imagine Jay and Jonah hating each other in real life, and everybody seeming to have a man-crush on Rogen, as he serves as the glue that keeps the group together. Overall, This Is the End is a better film than I expected, albeit a less funny one. With that, it is still worth a watch. There are many enjoyable cameos to enjoy, specifically from the initial party, which is a who’s who of Hollywood at this point in time. Not bad for some slightly more cerebral entertainment than expected. Something very strange and unexpected happened when I decided to shut my brain off for a while and indulge in watching Hot Tub Time Machine 2. This was a bit of a surprise. But, there was definitely more than one scene in which I actually laughed out loud, which for me, made this comedy sequel actually funnier than the original. 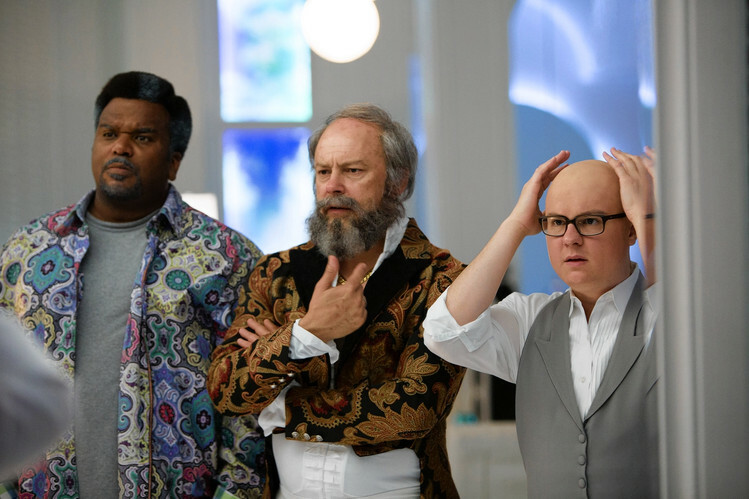 Hot Tub Time Machine 2 focuses on three quarters of the original cast (minus John Cusack) as they are living it up in their new reality that was created by changing the past in the first film. When one of the gang is shot in the crotch, they must travel back in time (which is actually an alternate future) in order to stop the murderer. It’s a little bit convoluted, the whole story, but really, who needs to discuss the plot of a sequel to a film titled Hot Tub Time Machine? As with any comedic sequel, there is a play on many of the jokes that existed in the first one, but this time around, they seem funnier. Some of the best laughs occur when the guys see themselves in the mirror for the first time in their new future, and go off on their “You look like…” jokes. We’ve seen it before, and will probably see it again, but it definitely elicited some laughs for me. Maybe I am getting dumber. The insanity of the TV game show they participate in is also kind of funny. Shockingly stupid, but kind of funny. That’s the gist of the whole film: impossibly stupid, but kind of funny. 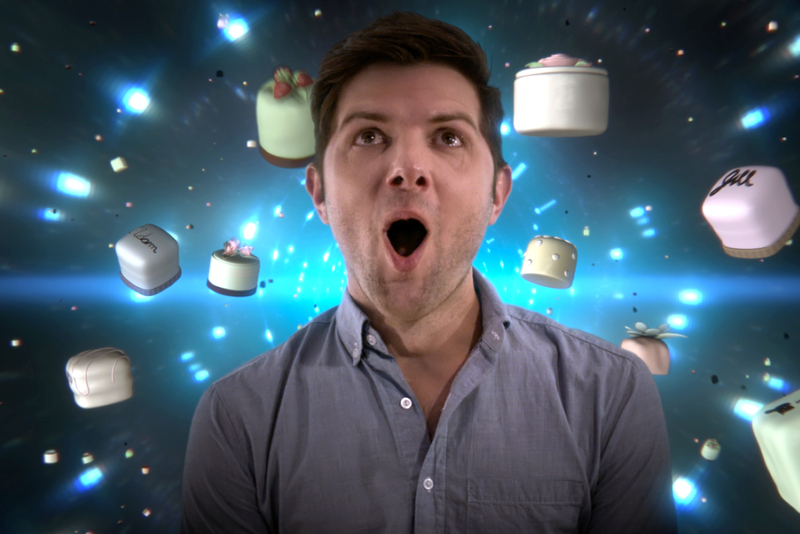 To replace the departed Cusack, Adam Scott plays a larger role in the film, and brings his standard style of wit to the film. He serves as a welcome addition. In HTTM2, there is exactly what you would expect. Plenty of bathroom and sexual humour. A lot of swearing. Some naked breasts. Many jokes about film references (“This reminds me of Terminator.”). Messing with historical events. Drinking and drug benders that are pretty humorous. But at the end of the day, it does provide some laughs. This film is perfect for when you’ve had a long day at work, and want to do absolutely no thinking, but perhaps want to giggle a couple of times at how cruel these friends can be to one another, and the complete silliness that is the story line. Despite universally wretched reviews, I would actually say that this comedy is decent in comparison to the other slew of terrible comedies that are out there. It is tough to make people laugh, but Hot Tub Time Machine 2 did it for me. And perhaps most surprising of all, I didn’t hate myself afterwards for watching this film. The first major issue with the third installment of the Taken franchise is that nobody is taken. 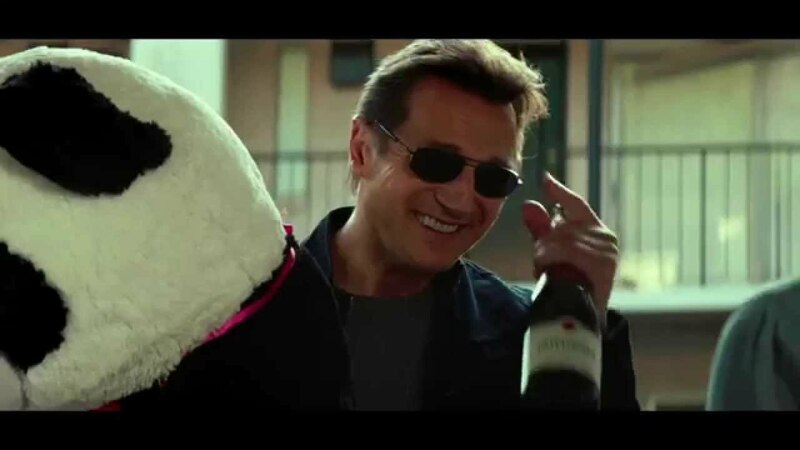 Following the under-the-radar hit filled with insane amount of awesome from star Liam Neeson, and the semi-respectable action-packed sequel, Taken 3 has sort of run out of ways for Neeson’s daughter Kim to be stolen away. So they set it up that he is framed for the murder of his ex-wife, in a plot involving a former Russian Spetsnaz soldier-turned-gangster who is owed some money. Neeson must prove his innocence while eluding the police, while doing his best to hunt down the bad guys in the film. The plot itself isn’t too bad, but Taken 3 lacks where the other films excelled. There just isn’t that much action, and when there is, it pales in comparison to the thrills of the first two movies. Neeson is definitely getting older, and the hand-to-hand battles are definitely lacking. They simply aren’t that good anymore, and odd editing makes the scenes somewhat choppy and lacking the seamless quality of before. Even the gun play is below average, and we are forced to believe that one of the best trained soldiers on earth is a poor shot with a machine gun from only a few feet away, aiming at an older target that is definitely not moving very quickly. What has been created is a film that is more story heavy, which is fine, but doesn’t deliver the extreme payoffs that we have become accustomed to with the rest of the Taken series. This is a film that is supposed to create tension, but offers none. Taken 3 ends the series in a whimper, despite being a watchable action film. It is by far not the worst thing out there, but it definitely isn’t the best, and there are surely better current action options out there to satisfy the car chase, fist fighting needs of viewers.